Boeing 737-500 operated by Southwest Airlines may transport 122 passengers. 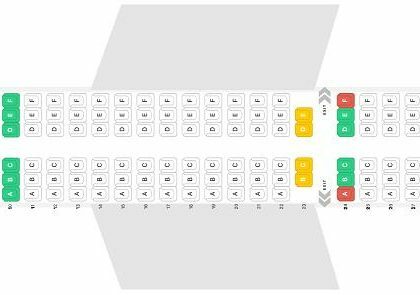 The seats 1A, 1B and 1C have such disadvantages as restricted space for passengers’ legs and proximity of the galley and lavatories. Passengers of the seats 1D, 1E and 1F on the contrary will feel comfortable thanks to the extra legroom, but these seats are also located close to the lavatory and galley and this fact may cause inconvenience to passengers. As the seats of the 9th row are located in front of emergency exit, these seats have either limited recline or are not reclining at all. The seat 10B has limited recline and doesn’t have extra space for passengers legs but as there is no window-side seat here, passenger of this seat will feel here more spacious than on other standard seats. Despite the fact the seat 10C is located in exit row it has limited recline and doesn’t have extra legroom. The seats 10DEF and the seat 11A are considered the best seats on the airplane as passengers of these seats will feel comfortable here thanks to the extra space for their legs. The only disadvantage of the seats of the 19th and 20th rows is close location to the lavatories and galley. 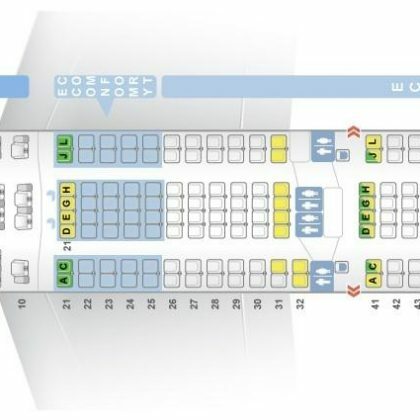 The seats of the last 21st row are considered bad seats due to their close location to the galleys and lavatory and due to their limited recline.